A crowd of over 36,000 gathered at Monmouth Park in Oceanport, NJ Sunday to see Let’s Go Stables’ Verrazano destroy his foes by a stunning 9 3/4-length victory. Sent off as the nearly even-money favorite, Verrazano stalked the pace while Preakness winner Oxbow got out front early with Vyjack in second through the opening quarter. Vyjack faded quickly as the Todd Pletcher trainee moved to second after a half-mile and kept up through six furlongs with guidance from John Velazquez. Oxbow gave way in the stretch as Verrazano opened up by three lengths and then would not look back, finishing the 1 1/8-mile contest in 1:50 3/5 on the fast track. Power Broker got up for second with Micromanage third. Oxbow faded to fourth. 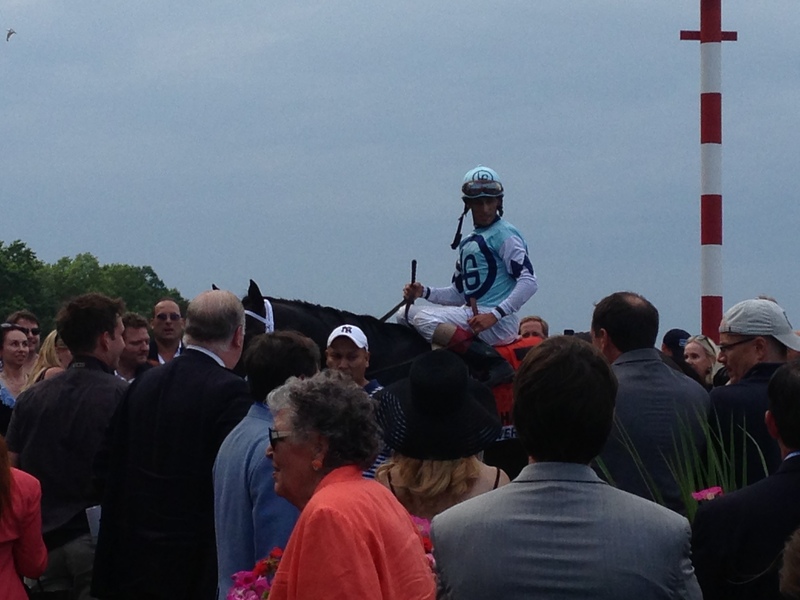 “He made a huge statement today,” Pletcher said. “This was one of the most impressive – if not the most impressive – races by any 3-year-old this year. I would say this was his most impressive race for a horse that’s near perfect minus the sloppy race in the Kentucky Derby. This win marked the second time Pletcher and Velazquez had teamed up to win New Jersey’s most celebrated race, the first time on Bluegrass Cat back in 2006. Pletcher also won the Haskell the following year with Any Given Saturday. For Verrazano, it was his second Grade 1-win, as he won the Wood Memorial at Aqueduct on April 6. After a dissapointing 14th-place finish in the Kentucky Derby (G1), he bounced back to take the Grade 3 Pegasus Stakes also at Monmouth in his last start. 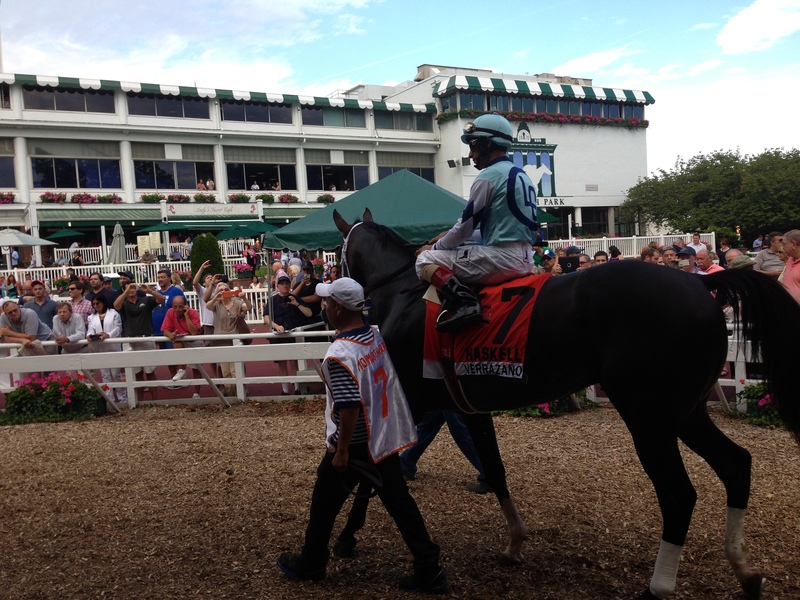 With earnings now of $1,551,300, Verrazano is 7-6-0-0. Verrazano will likely face Belmont Stakes winner and fellow Pletcher-trained Palace Malice (who just won the Grade 2 Jim Dandy Saturday) in the August 24 Travers Stakes at Saratoga, along with Kentucky Derby-winner Orb among others. From that, who knows if Oxbow will be up for the challenge in the “Mid-Summer Derby” at Saratoga in late August, or if he is the same horse now that won the Preakness Stakes back in May. 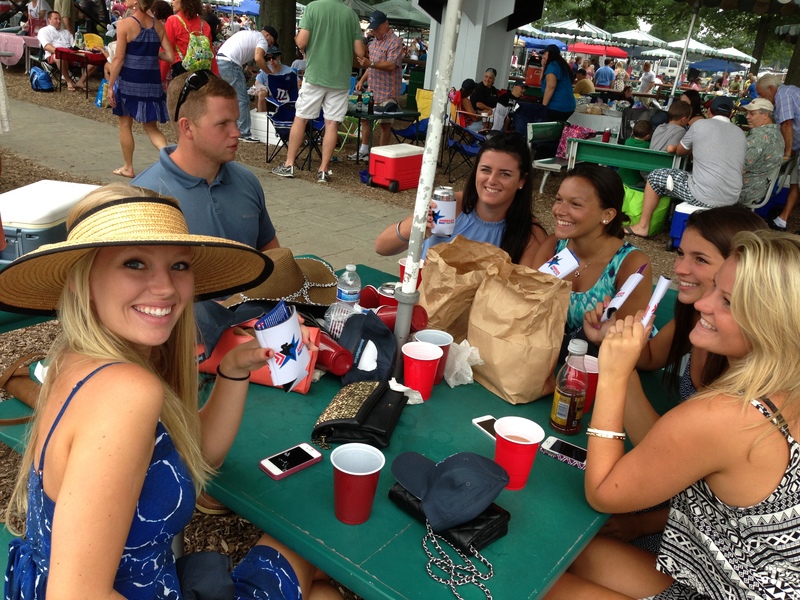 Regardless, the Travers is shaping up to be a hell of a race. Giddy up.